S.A.F.E. Rehoming is a registered animal welfare charity, primarily operating in the Northern Suburbs of Sydney. We are currently operating from foster carers only, however we are looking to find a location to accommodate both cats and dogs. 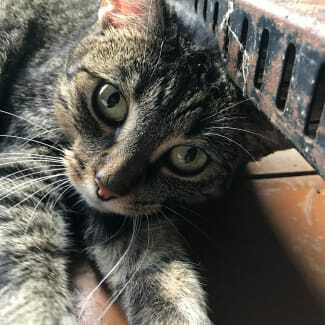 While Scarlet can be shy when you first meet her, she actually has a very sweet nature and is quite affectionate. She loves a good scratch around the head and chin and enjoys full body pats. 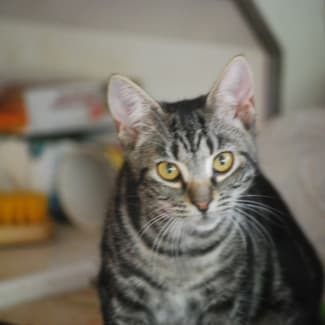 She is currently in a foster home with kids and other cats, therefore given time and a proper introduction she should be fine with them in a new home. Ethan is a brave and strong little kitten. While he can be a little shy at first, once he knows you he is very affectionate and friendly. As a very young kitten, Ethan spent a few nervous nights in ICU and almost didn't make it! Thanks to the fantastic community around SAFE, he pulled through and the funds were raised within a week to pay for his vet bill. Since then, he has gone from strength to strength and runs around with his litter mates as if nothing happened! He is currently in a foster home with his litter mates and some older cats so should get on with other cats with the proper introduction. While he hasn't had much exposure to kids or dogs, given time and a proper introduction he should be fine with them too. Elijah is a confident and affectionate kitten. 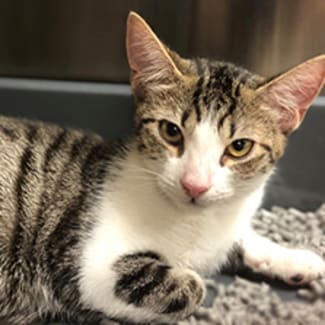 He does take some time to warm up to people but once he does, he loves being around you and has a purr that will fill up the room! He loves showing his affection by rubbing his face on you, and will rub on your feet or your face just the same, he's a very paws on kitten. He is currently in a foster home with his litter mates and some older cats so should get on with other cats with the proper introduction. While he hasn't had much exposure to kids or dogs, given time and a proper introduction he should be fine with them too. 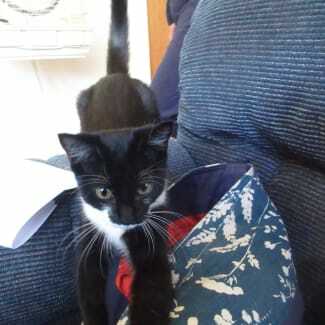 Paco is a shy but very friendly and affectionate kitten. He does tend to stay back when he is around the rest of his foster friends but this appears to be because he'd prefer to be with his foster humans. And when he is, he does give out a great purr and happy claws on whatever he's standing on. He is currently in a foster home with his litter mates and some older cats so should get on with other cats with the proper introduction. While he hasn't had much exposure to kids or dogs, given time and a proper introduction he should be fine with them too. 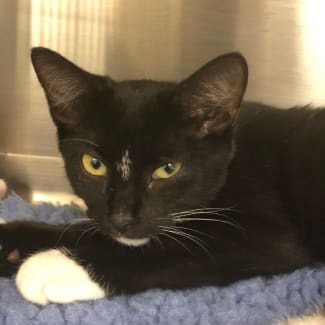 Ruthie is the quietest of the litter and while she has an independent streak she does have an enormous purr when she is with her foster humans.